A beautiful lawn requires dedicated and precise work. At the same time, investing in its care is essential to a landscape that adds great value to your property. 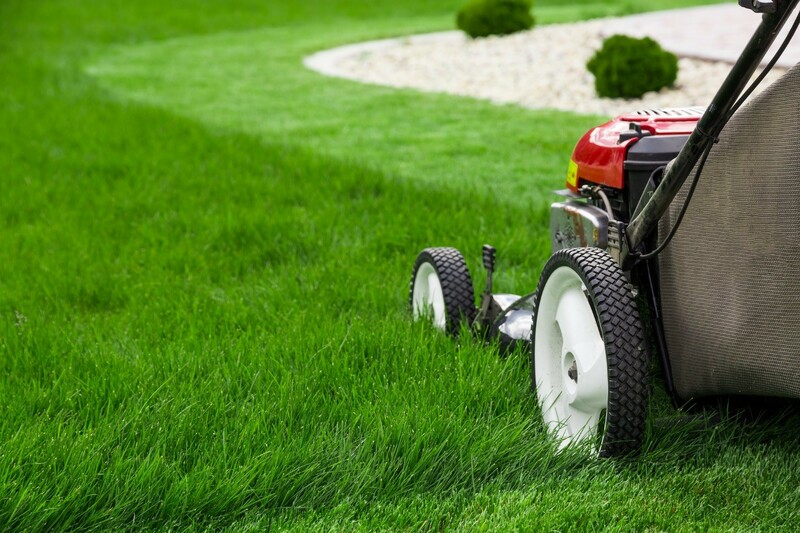 Here are the top reasons why lawn maintenance should be included in your yearly landscaping budget. Having a healthy and well-manicured lawn begins with proper watering. You don’t just water every day to have green grass and plants. The rule is to water deeply, and not necessarily daily. You must water the lawn properly for the roots to grow well. Longer grass has better drought resistance than shorter ones. Water gently and deeply, like slow rain, through trickle irrigation or soaker hoses. Avoid frequent yet shallow watering because it leads to grass with weak roots that can’t withstand very dry periods. An inch of water should be sufficient enough, as it can penetrate 6 to 8 inches deep into the soil. Afterwards, the lawn should be allowed to dry before deeply watering it once more. There’s also an exact science to mowing. You must keep the lawn a bit long to have strong, healthy grass with few pest issues. When the leaf is long, it takes in additional sunlight which results in a deep root system. Deep roots promote higher drought survival, insect damage tolerance, and disease prevention. The ideal length of the grass should range between 2 and 3 1/2 inches. You must also mow often, as grass adjusts better to regular mowing. Additionally, the blades must be sharp and disinfected to avoid tearing the grass and injuring the leaves. The foundation of a healthy lawn is good soil, which requires key nutrients and the right pH. Ask your landscaper about the composition of the soil to determine if it’s heavy with sand, clay, or somewhere in between. The best soil for a great-looking lawn is intermediate or soil with a sufficient mix of clay, sand, and silt. An experienced landscaper will know how and when to add different materials to it, such as compost or grass clippings, and get the right soil type. Furthermore, many lawns require adequate amounts of potassium, phosphorus, and nitrogen. Potassium improves the turf’s resistance to disease and drought as well as aid root and stem growth. Phosphorus supports root growth and seed formation. Nitrogen ensures rapid growth and leaf development. Not all plants require the same kinds and levels of nutrients, so, these fertilizers cannot be applied arbitrarily. A lawn care expert knows proper weed and disease control. He is experienced in determining when to apply pre-emergent or post-emergent weed control and which types would work best with different soil types. As for pests and diseases, knowledgeable landscapers can identify them easily, and enact the proper solutions as well as the proper resolutions. For instance, dollar spot is a turfgrass disease that needs thatch reduction apart from adding nitrogen during spring and early summer. There are too many things that must be done to achieve a wonderful-looking lawn. While you can study and conduct the different steps of lawn care on your own, you should consider leaving this intricate and time-consuming job to landscape experts. These experts know what to do for your lawn to be beautiful and healthy year-round.